In 2010, QTK, a custom kitchen manufacturer, purchased an existing 45,000 square foot auto parts plant that would be converted into their new manufacturing facility, head office and showroom. They wanted a modern, open environment that would best showcase their product range, foster productive communication between engineering and design staff and strengthen their brand identity. The custom designed millwork was essential to the success of this project. Aside from its primary function, the millwork is a device that both connects and subtly differentiates a variety of programmed areas within the larger space. Wood orients the visitor. A robust screen of newly planted Beech trees, together with a warm wood soffit and handcrafted door pulls, define the point of entry. 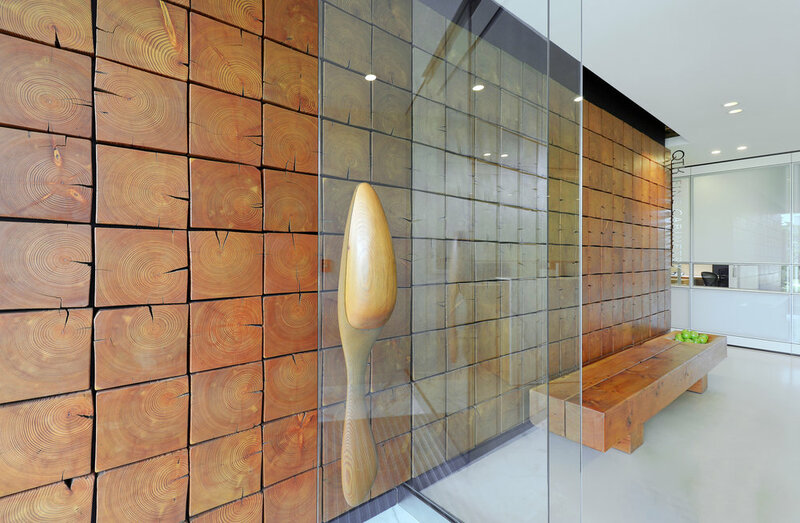 Once inside, visitors are received with a palette of rich and warm reclaimed timber in the front reception. The private executive offices, are intentionally darker and recede behind a veil of translucent glass. 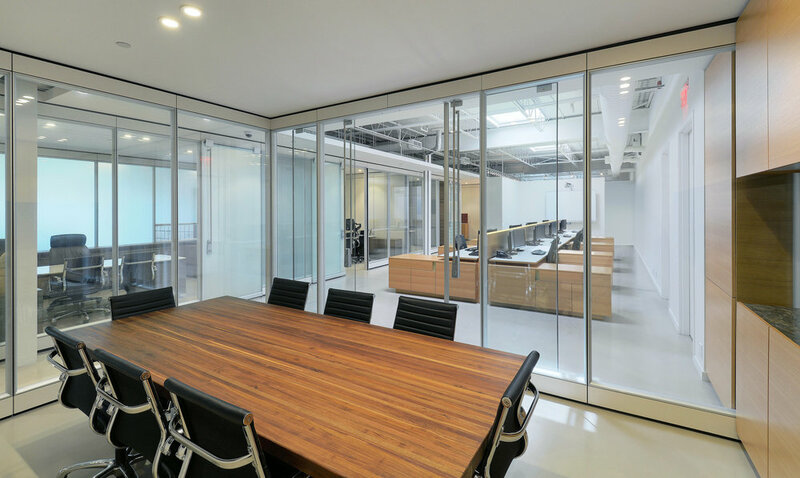 By contrast, lighter wood finishes were used as a consistent thread linking the more public circulation zones, semi-private staff workstations and client meeting spaces. It was important that the millwork take an appropriate position in the hierarchy of built form. The spare modern language and detailing provides a neutral framework allowing the more classic and ornamental kitchen products to be at the forefront. In the end, QTK’s proud tradition of crafting functional and rich environments extends beyond their ‘domestic’ product line. The office and showroom millwork transcend its utility and represents the company’s capabilities and attention to detail.